REIC – Recent studies have shown an increasing trend of work environments becoming more advanced and compatible with the health and well being of employees. Companies are investing in new technologies to reduce emissions, whilst ensuring employees are healthier and happier. These changes are a far cry from the traditional workplace in Ha Noi but to the benefit of more employees in the nation’s capital, there is further change on the horizon. With over 146 office buildings in Ha Noi and a three-fold increase in the amount of people working in commercial buildings, it is no surprise that development of the nation’s capital has changed the traditional work environment. Recent studies have shown that the average employee spends at least 8 hours a day and approximately 90,000 hours of their life at work. Fittingly, modern day employees are coming to refer to the office as their "second home”. Investors are starting to realise there is a social and financial return on investing in better facilities; in providing gymnasiums and comfortable surroundings that improve health and wellbeing. Employers have been attentive in technologising work places to save energy and improve their environmental footprint. These environments have also been shown to reduce stress among employees. 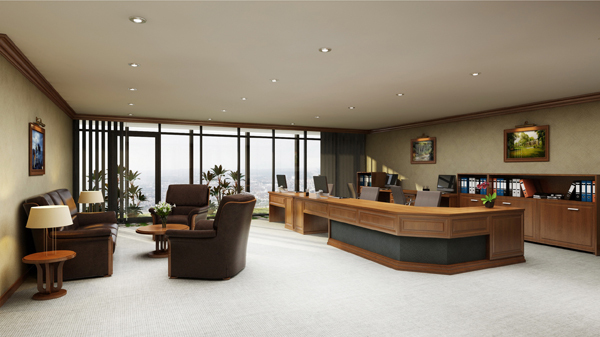 Phrases such as “anti-glare glass”, and “ultraviolet (UV) protection” are becoming more familiar as work places use Building Management Systems (BMS) to integrate intelligent functions into their workplaces including, security, lighting, air-conditioning and smart parking remotes for the office. Meanwhile, the surging supply of office buildings has offered many opportunities for tenants to scrutinise building quality. Tenants have greater leverage and more choice to find projects that meet the requirements of ‘crisp professionals’. Domestic small-scale enterprises look for ‘cheap and cheerful’ office space while multinational companies have their pick of top class buildings, including the Bitexco Financial Tower, the Keangnam Ha Noi Landmark Tower and most recently, PVI Tower Building. Influenced by French modern design and built with a specific style code, investors had been "picky" about the building’s construction. The building is specialised with only the latest technology and system utilities on the market. It is no surprise why PVI Tower has already leased more than a half of its office space even through it hasn’t officially opened. The company has enticed several of the biggest companies to relocate to the tower, including Japan’s Obayashi Corporation, Samsung Electrics Viet Nam and Canada’s Sunlife Insurance Company. 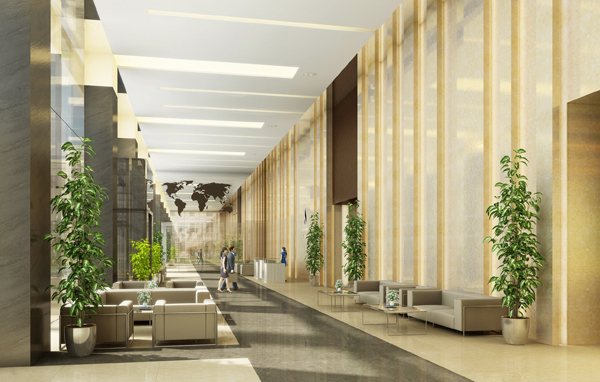 PVI Tower is 25 floors and 2 basements of Grade A office space, multi-function meeting rooms, an international 700-person conference hall, a gym, spa and restaurant. 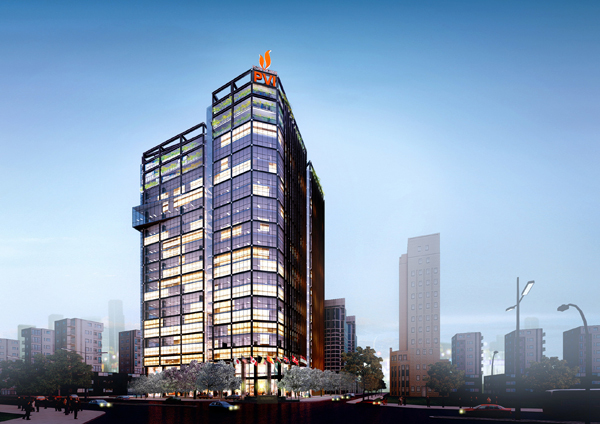 The building can be entered via Tran Thai Tong road in the new Yen Hoa Urban area in Cau Giay district - pegged to become Hanoi’s Wall Street in the near future and in close proximity tosimilar projects including the Keangnam Landmark Tower, The Garden, Indochina Plaza Ha Noi and Grand Plaza. Projects like the PVI Tower are important in demonstrating the value companies place on ideal working environments: for the brands, for the business and for their employees. Companies would do well to know exactly what kind of office space can maximise the potential of these three critical assets of their business. Social development and increasingly pressurised working environments are helping to drive the invention of new work environments that meet personal requirements. There is an opportunity for investors who know where supply and demand converge and what the market is missing. There is hope yet, in the stagnant real estate market.